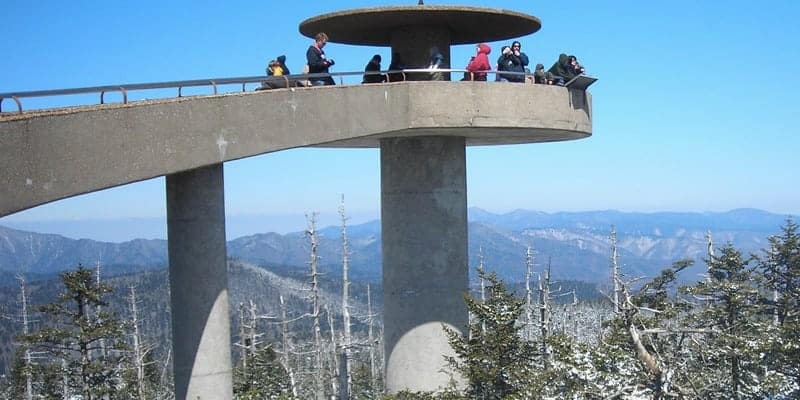 When you come visit the Smokies there are some attractions and restaurants that are must visit traditions! When you stay in our hotel in Gatlinburg you’ll be a short drive or even walk from some great and fun places in town! Get ready to learn about what you need to visit during your next vacation here! Our hotel in Gatlinburg is nestled up to the Great Smoky Mountains National Park. No trip to Gatlinburg would be complete without a visit to the park! It’s free to enter and full of fun things to do! You can go hiking, biking, and even horseback riding on trails in the national park. Moreover, you and your family can spend some time at the Sugarland Visitors Center to learn about the history of the park, or go for a swim in the rivers, fishing, and even go picnicking! There are endless possibilities ,making it a must visit place! Ripley’s Aquarium of the Smokies is home to over 500 species of marine life! When you visit the aquarium you’ll get to see creatures like sharks, penguins, giant sea turtles, and more! There are plenty of opportunities to even interact with animals here like horsecrabs, jellyfish, even stingrays. There are play areas for kids, a restaurant inside the aquarium, and plenty of opportunities to learn cool, new facts about the animals that live here. Our hotel in Gatlinburg has got the best location in town if you are looking to dine at one of the best restaurants in town! The Peddler Steakhouse is an award winning and beautiful restaurant perfect for a romantic date or nice meal with your family. The restaurant sits over a river and has large windows so you can have a gorgeous view while you eat. Everything from the fresh salad bar, hand cut steaks, and mouth watering desserts are delicious! Dining here is a tradition! If you are looking for a little bit of wild fun The Track: Smokies is perfect! There is something for everyone and all ages. There are several go kart tracks that vary by experience like the Rookie Karts, the Family Track, or the Wild Woody! Beyond that, you’ll find bumper boats which is a great way to cool off on a summer day. There are other rides, and even a large arcade where you can win fun prizes at! Crockett’s Breakfast Camp is a Southern-style breakfast restaurant with simple rustic decor. It’s located almost directly across the street from our hotel. If the large cast iron skillet out front doesn’t give it away you’ll soon find out that meals in here are large and hearty! Their menu stars include their packed full omelets and large griddle cakes! Their Southern hospitality and delicious food make them a must visit place for breakfast in Gatlinburg! You’ll be within walking distance or a short drive from all of these must places near our hotel in Gatlinburg! Even with our great location you can expect to enjoy peaceful evenings without hearing city sounds and instead listen to the river beside our hotel. So take a look at our rooms today and come visit us soon!